A loan of $900 helped a member to buy chicks and feed. Virginia is one of the members of the “Siquirritos” communal bank. She’s 48 years old and the mother of three children, all adults. Only her youngest son still lives with her. She’s a single mother and head of household. She always strove very much to move her family forward and provide sustenance for her home. She currently raises fowl; she raises chicks to sell and will use the loan to buy the animals and feed concentrate. This is her first loan and she has a strong wish for self-improvement and to have the income needed to care for her health and to have quality of life. Two other women appear with Virginia whose activities are commerce and services. Translated from Spanish by Kiva volunteer Polliz. View original language description. Doña Virginia es una de las integrantes de Banco Mujer Siquirritos, tiene 48 años, y es madre de 3 hijos, todos mayores de edad, y únicamente el hijo menor vive con ella. Esta madre sola y jefa de hogar siempre se esforzó mucho para sacar adelante a su familia, y llevar el sustento a su hogar. Actualmente la actividad que desarrolla es la avicultura, cría pollos de engorde para la venta, el crédito lo va a invertir en compra de los animales y el concentrado. Este es su primer crédito y tiene muchos deseos de superarse, salir adelante, y tener los ingresos necesarios para cuidar su salud, y tener calidad de vida. Junto a Doña Virginia están 2 señoras mas que se dedican a actividades comerciales y de servicios. In Costa Rica, funding for microfinance institutions is hard to come by, and many institutions find themselves having difficulty growing and reaching all the demand for loans that exist. Kiva works with Fundacion Mujer because it attends a very marginalized population in Costa Rica, with a specific focus on women. 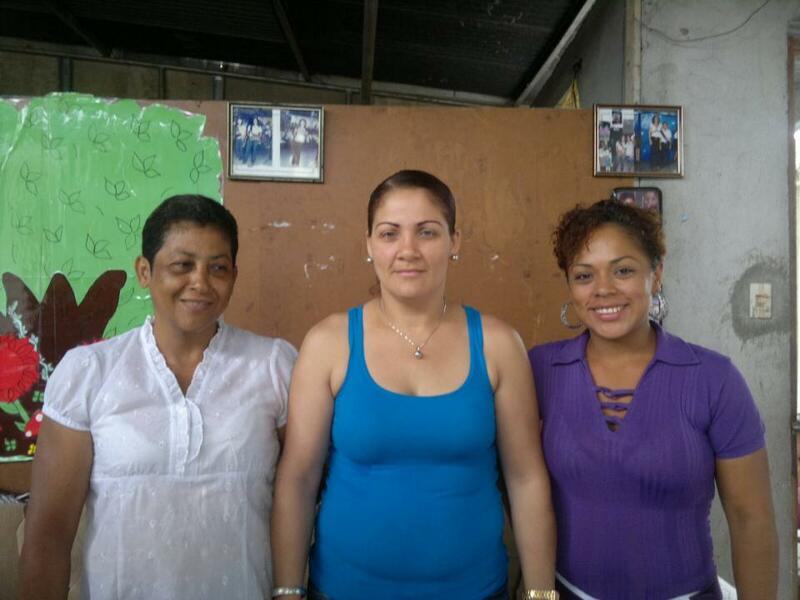 In addition to the loan, Fundacion Mujer provides specialized training programs for their borrowers on everything from computer classes to salon training. Because of the difficulty in obtaining capital in Costa Rica, Fundacion Mujer cannot serve all the women that need loans. Therefore Kiva plays a unique role in helping Fundacion Mujer grow its portfolio and reach borrowers it otherwise would not be able to. Fundación Mujer is an organization specializing in the financial and personal development of female entrepreneurs in Costa Rica. They seek to reach underserved populations that may include indigenous communities, immigrants, refugees, victims of domestic violence or women living with HIV/AIDS. Fundación Mujer offers courses in both business and personal development, as well as training in concrete skills such as sewing and other crafts. Kiva supports Fundación Mujer’s work to provide financial and personal services for underserved women that will give them new opportunities, and build skills and confidence.